with the most extraordinary customer service. Located in Statesville, NC, our team of trained and certified technicians all work together to ensure that your IT challenges and needs are met at every level, from repair and implementation to training and maintenance. In addition, we are a Microsoft and Apple Authorized Service Provider and have strategic partners with Dell, Cisco, ESET, and Kroll. Lastly, you will receive excellence over the fast or easier fix. The root cause of a problem will always be treated, not just the symptom. We step outside of the immediate circumstances, asking tough questions to determine ultimate objectives. When you work with Integrity Computers, know that our employees demonstrate the highest potential to achieve your goals. Each project is complete with a customer survey that is scored using our customer satisfaction rigorous rating system to ensure every customer’s expectations are met – and even exceeded. 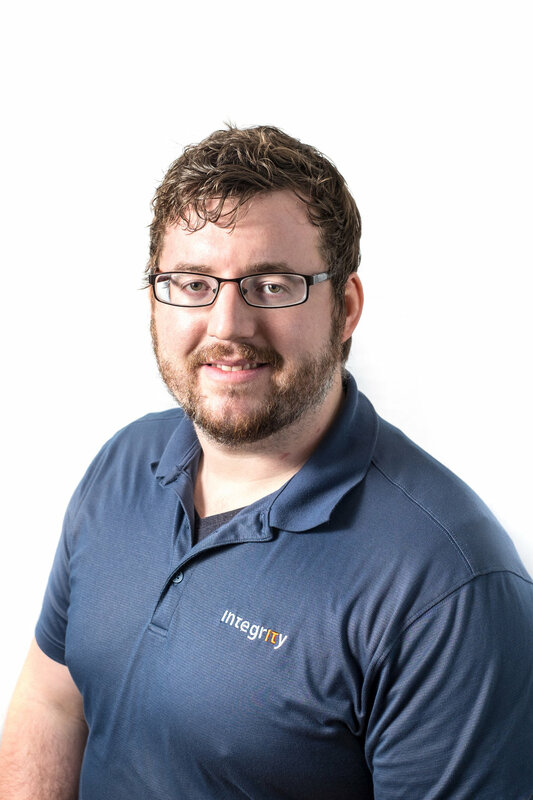 Justin joined Integrity Computers, Inc. in 2010, and provides Apple computer repair expertise and customer service support. Justin is passionate about providing Integrity Computer’s customers with exceptional service and open communication, while meeting their expectations and even teaching customers about technology. He is responsible for overseeing the workings of the Apple department which entail tracking inventory, ordering parts, managing team members, assisting customers with Apple related issues, and scheduling appointments for customers. In Justin’s spare time, he enjoys working on cars and motorcycles, and loves backpacking, mountain biking, and hiking—with his dogs in tow.